When it’s time to put on makeup, you don’t want to be doing it without good light. No one wants to think they’re looking super hot after they’ve “put their face on” and then go out and realize later that they’re having a Tammy Faye moment. Whether it’s avoiding the wrong shades or shoddy application, do yourself a favor and avoid applying makeup in bad light. Or the Joker’s on you. Your bathroom’s dark, but your closet is even darker. You grab clothes, throw them on, and take a look in the bathroom mirror. “Lookin’ sharp.” Sure. More like lookin’ colorblind. The dim light keeps you from seeing colors accurately and nothing you’re wearing matches. And you’re on your way out to show the world. Maybe even worse is the classic mismatched pair of shoes. Good luck on that job interview. It’s the middle of the night and you just can’t sleep. You want to take something to help you out. Or maybe to relieve that heartburn from the burrito you ate right before bed. (Great choice, by the way.) You stumble through the dark into the bathroom and reach into that medicine chest that’s just full of bottles, take a couple of tablets from your preferred remedies and head back to bed. Within a half hour, you have that abrupt realization that Viagra is kicking in, full force. Surprise! Now everyone’s awake. Or if you’re lucky, you’ve taken a couple of your partner’s birth control pills. Good news, buddy, you’re not pregnant. Pets. You gotta love ‘em. Because they love you. So much so that they just have to sleep near you. That’s great news when they’re at the end of the bed, keeping you warm or protected. It’s not such great news when they’ve flattened themselves out on the bathroom tile to stay cool. And it’s especially bad when the bathroom’s dark and they look a whole lot like bath mats. Love that bone-chilling yelp or shriek when you’re drowsily on the way to relieve yourself in the middle of the night? You bet. Just make sure you don’t have decent light in there, and you’ll get a whole bunch of it. 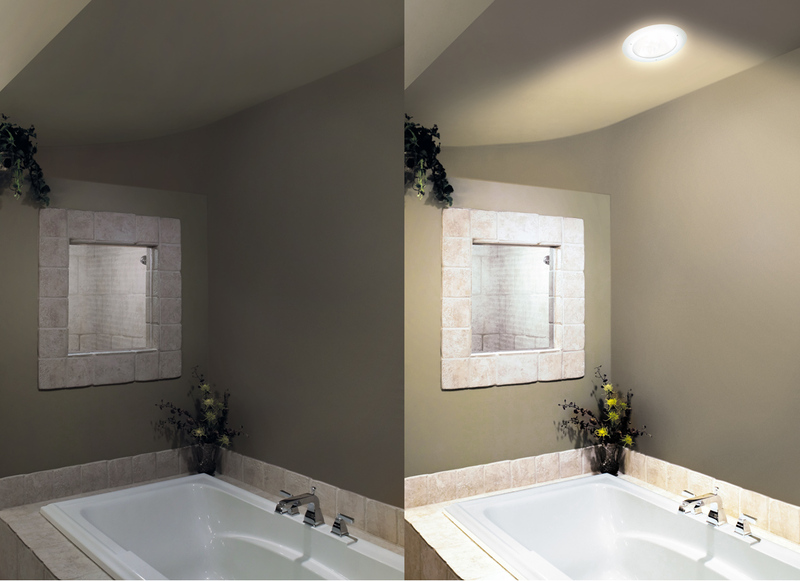 Want to make sure your bathroom has good lighting, day or night? 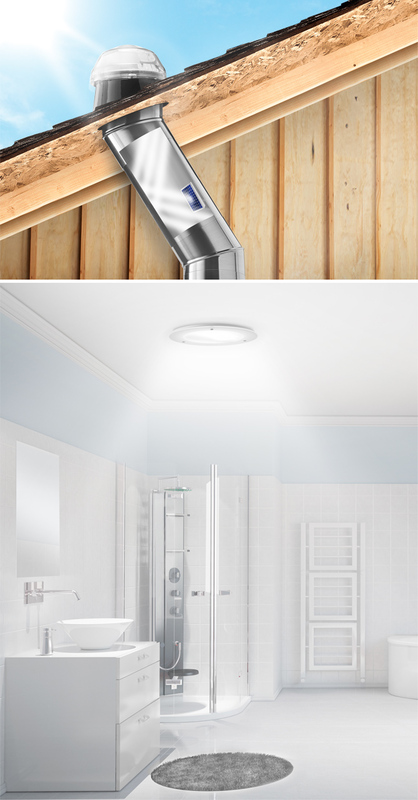 You should take a look at Solatube’s “tubular daylighting,” which fills dark spaces with brilliant, natural light during the day, and has a solar-powered nightlight that comes on automatically after dark. It uses a high tech dome on your roof to capture sunlight from virtually any angle and push it into tubing in your attic made of the world’s most reflective material and ultimately outputs bright, beautiful, diffused light into your home through attractive fixtures. And now this system also uses a solar panel mounted in the tubes to harvest that light by day to power convenience lighting by night. Want to learn more about how to add both daylighting and nightlighting to your home with Solatube Tubular Daylighting Systems and get a 30% federal tax credit back? You can call 888.SOLATUBE or visit SolatubeDaylighting.com to find one of our Premier Dealers near you who can walk you through all the information you need.